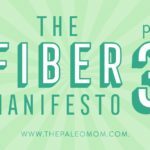 One of the fundamental principles of the Paleo diet is to support gut health. But, that doesn’t just mean eating plenty of fermented foods and fiber to feed our microbiome (although both of those things are definitely important! 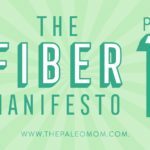 See What Is Fiber and Why Is it Good? and The Health Benefits of Fermented Foods). It also means protecting the lining of the gut by eliminating foods that damage it. 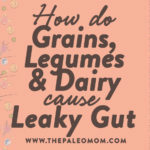 In Part 1 of my “Why Grains are Bad” series, we took a detailed look at how lectins can damage the gut, either by directly harming the cells that line our intestines or by allowing foreign substances to “leak” through the gut wall and enter the bloodstream. (In turn, a “leaky gut” can set the stage for a number of other health conditions, including autoimmune diseases.) Since grains and legumes are both high in potentially harmful lectins, avoiding these foods is an important step in promoting gut health and allowing previous damage to heal. But, lectins aren’t the only way certain foods can cause a leaky gut! 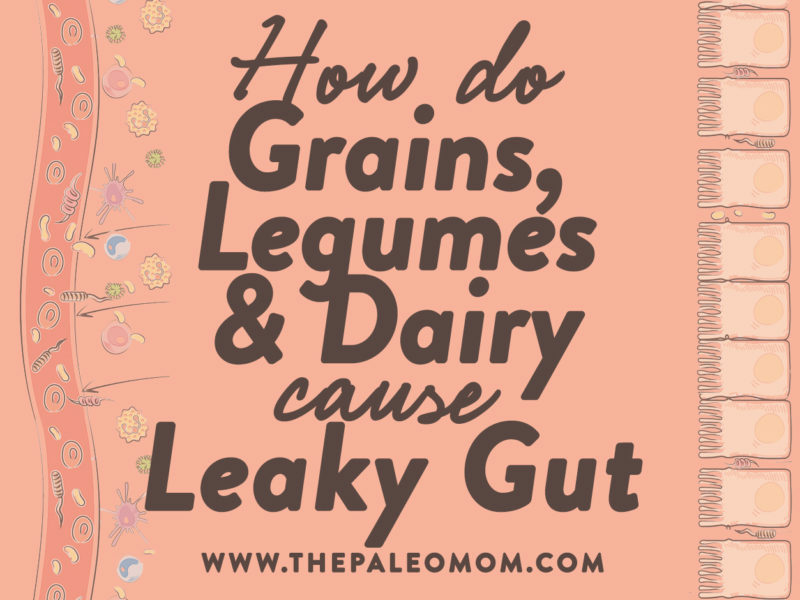 Grains and legumes contain saponins and protease inhibitors that can worsen the damage caused by lectins, and dairy is actually designed to promote a leaky gut as part of early nutrition in mammals. Legumes and pseudo-grains (like quinoa and amaranth) are high in saponins, which are compounds with detergent-like properties. Saponins are designed to protect plants from consumption by microbes and insects by dissolving the cell membranes of these potential predators. All plants contain saponins, but they’re often concentrated in the seed. Saponins consist of a fat-soluble core (having either a steroid or triterpenoid structure) with one or more side chains of water-soluble carbohydrates. This combination of both a water-soluble and a fat-soluble component is what makes saponins act like a detergent, i.e., something that can make oil and water mix. Because of their detergent-like structure, saponins can interact with the cholesterol molecules imbedded in cell surface membranes, create holes in the surface membrane of the cells that line our gut (enterocytes), allowing a variety of substances found in the gut to enter the cell. A number of different types of saponins exist, and some bind more easily and more tightly to cholesterol molecules in cell membranes than others. As a result, different saponins can create larger or smaller pores, which may be more or less stable. The larger, more stable (and/or more numerous) the pores, the more difficult it is for the enterocyte to recover. Small doses of some dietary saponins (like those found in fruits and vegetables) might play a helpful role in the absorption of some minerals. But, legumes and pseudo-grains contain very high doses of saponins (and, in general, contain types of saponins that interact more strongly with cholesterol). Dietary saponins from these foods are known to increase the permeability of the gut, likely by killing enterocytes (cells, in general, do not survive large, irreversible changes in membrane permeability). Interestingly, even when a sub-lethal amount of saponin pores form in the enterocyte surface membrane, the cell loses its ability to actively transport nutrients, especially carbohydrates. While slowing down sugar transport from the gut to the bloodstream seems like a great thing on the surface (why beans are so often recommended as a carbohydrate source for diabetics! ), the irreversible increase in gut permeability is just not worth it! When large amounts of dietary saponins are consumed (especially in the presence of an already leaky gut), saponins can leak into the bloodstream. At sufficient concentrations, they cause hemolysis (destruction of the cell membrane of red blood cells). Saponins also have adjuvant-like activity, which means that they are able to affect the immune system leading to the production of pro-inflammatory cytokines (chemical messengers that tell white blood cells to attack) and can further contribute to inflammation in the body. But the leaky gut story doesn’t end with saponins! Grains, pseudo-grains, (like buckwheat) and dairy contain protease inhibitors. Protease inhibitors are the seed’s attempt to escape digestion completely. These are compounds designed to neutralize the digestive enzymes that would normally degrade the plant’s proteins (and toxins) into their individual component amino acids. However, when protease inhibitors are present in our digestive tract, it affects degradation of all proteins present at that time. When our bodies sense the need to increase protein digestion, the pancreas secretes more digestive enzymes into the small intestine. Because some digestive enzymes are being inhibited (the proteases which break down protein) while others are not, the balance between the different digestive enzymes is thrown off. One enzyme that ends up in excessive quantities during this process is trypsin, an enzyme that is very good at destroying the connections between cells. If we have a large concentration of trypsin in our small intestine, it can weaken the connections between the enterocytes, creating a pathway for the contents of the gut to leak into our blood stream. 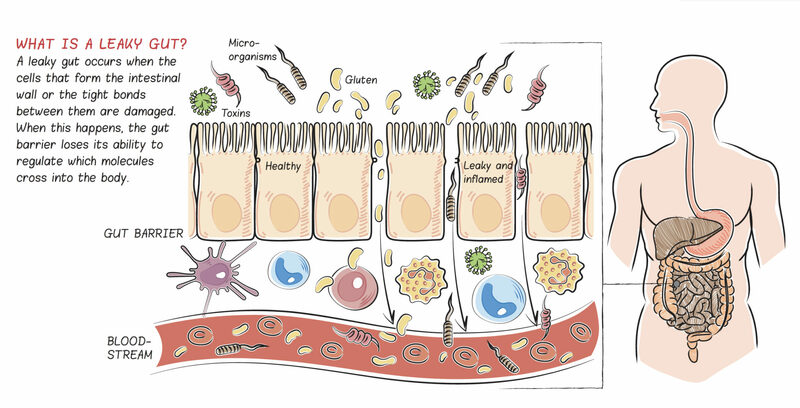 To make matters worse, in the presence of an already leaky gut, incompletely digested proteins that cross the enterocyte layer stimulate the resident immune cells of our gut to release inflammatory cytokines and produce antibodies. The result is increased inflammation! Dairy is designed to create a leaky gut. Scientists still don’t understand all the mechanisms through which dairy products can create a leaky gut. But, it seems to be an important aspect of what dairy is designed to do: feed babies (of the same species) optimal nutrition for rapid growth. In newborn infants, a leaky gut is essential so that some components of mother’s milk can get into the blood stream, like hormones and all the antibodies that a mother makes that helps boost her child’s immune system. When we’re young, a leaky gut is actually a good thing! But, while this is essential for optimal health in babies, it becomes a problem in the adult digestive tract where there are more things present that we don’t want to leak into the blood stream. Drinking milk from a different species seems to make matters worse since the foreign proteins can cause a larger immune response. The bottom line? Avoiding grains, legumes, and dairy on a Paleolithic diet is about more than replicating the actions of our ancestors. We have ample evidence that these foods can harm our gut health (as well as exacerbate the problems caused by other modern diet and lifestyle components! ), and that replacing them with nutrient-dense foods that support rather than damage the gut is key for getting and staying healthy! Francis G, et al. “The biological action of saponins in animal systems: a review.” Br J Nutr. 2002 Dec;88(6):587-605. Gee JM, et al. “Effects of saponins and glycoalkaloids on the permeability and viability of mammalian intestinal cells and on the integrity of tissue preparations in vitro.” Toxicol In Vitro. 1996 Apr;10(2):117-28. Gee JM, et al. “Saponins of quinoa (Chenopodium quinoa): Effects of processing on their abundance in quinoa products and their biological effects on intestinal mucosal tissue.” Journal of the Science of Food and Agriculture. 1993;63(2):201-209. Johnson IT, et al. “Influence of saponins on gut permeability and active nutrient transport in vitro.” J Nutr. 1986 Nov;116(11):2270-7. Rackis JJ, et al. “Protease Inhibitors in Plant Foods: Content and Inactivation.” Nutritional and Toxicological Significance of Enzyme Inhibitors in Food. Volume 199 of the series Advances in Experimental Medicine and Biology. 299-347. Ryan CA. “Protease Inhibitors in Plants: Genes for Improving Defenses Against Insects and Pathogens.” Annual Review of Phytopathology. 1990;28:425-449. Interesting to ponder as I sit here with my shoulder and elbow joints hurting, and I had cheese for dessert last night….hmmmmm maybe it is time for a food journal…. Fibromyalgia is not autoimmune but Chronic Fatigue is. Creatinine levels are not something I know much about (other than high creatinine is a sign of kidney damage), but it is possible that you aren’t absorbing all of the protein from your food if you have yeast overgrowth, gastritis and leaky gut (which area all interconnected). I think digestive enzymes and low-carb are a good choice. I would also have a look at FODMAP food lists just in case that is contributing to your yeast overgrowth and bloating (I’m hoping to have a post about FODMAP-sensitivity next week some time). It would be good to include some healing foods in your diet (like bone broth, liver which you are already eating, and coconut oil) and a food source of probiotics (like homemade sauerkraut or kombucha). The main answer to your question is that yes, it does take some time, and it tends to take longer for people with gut dysbiosis because the yeast/bacteria overgrowth hinder healing and keep the gut leaky (and are causing the bloating). 6 months would be a pretty good guess, but with CFS it could take longer. I hope this helps! Yes. The Paleo diet in general is fantastic for regulating weight (which means overweight people tend to lose weight and underweight people tend to gain). Sounds like you will also want to have a strong focus on gut health. 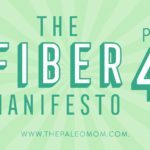 I recommend the book Practical Paleo by Diane Sanfilippo (should be a link in the sidebar) for guidance on supplements that may help. I also recommend consuming lots of fish, coconut oil, grass-fed beef, bone broth, organ meat, and raw fermented vegetables. Eating quality meat will actually help you heal and support liver and kidney function (so grass-fed and pastured is best). Make sure you are eating sufficient fat and don’t go too low carb (you can play with whether fruit versus starchy vegetables works better for you, or both). I hope this helps! Thank you so much for replying so quickly. I appreciate knowing that it’s possible to gain weight on this diet. 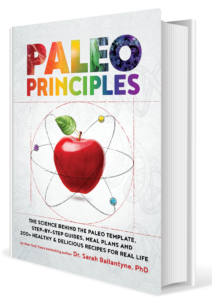 I just ordered the Practical Paleo and I’m sure that will be so helpful. Thank you for recommending it. I do have problems with fermented and fungal foods because of candida that I have since taking so many antibiotics. I stay away from all the the white flours, sugars, etc. as well. Fruit can sometimes bother me but I can work with some like melons, and papaya. Thanks for giving me hope and all these great suggestions. I SO appreciate your website. Hi Elaine. I had a candida problem too which I battled with every diet and pill imaginable. Then I got down to the root cause: mercury poisoning from my 20 year old amalgams. I had them removed, then started chelating with DMSA and ALA per Cutler protocol (very low dose every 3 hours for several days at a time, then a rest period). After about a year of this protocol, problem solved. Just thought I’d mention it if you have amalgams and dutifully had all your vaccinations as a child (before anyone knew they contained mercury). Thank you Anna. I didn’t think this was my issue since I only have one Mercury amalgam left but it’s possible and with not really improving otherwise I will look into it. It was good of you to write and explain the protocol to me. So glad you are doing well and found your answer! Yeh Paleo can definitely make you gain weight so that you’re at a healthier weight. It happened to me- I used to eat about double my caloric needs and was underweight and had no energy and lots of joint pain but when I went Paleo I put on about 4kg and got my energy back and a bunch of other health issues have resolved. It’s totally worth it but… Well… Being underweight is fashionable and I like how I looked before better than how I look now even though I know I’m healthier now. Still, I would never go back to a SAD diet. I just wonder if there is a modification of Paleo that can pull you below your healthy weight for vanity’s sake while maintaining health. Is it primarily quinoa and amaranth that have saponins? I’m currently underweight and intolerant to so many foods and FODMAPs that I’ve had to make quinoa a staple at every meal, but am concerned about the amounts of saponins, etc that I’m consuming. I do rinse the quinoa at least 3 times, and was soaking and sprouting them until I discovered that this increases the levels of amines, which I suspect I’m sensitive to along with salicylates and free glutamates. I’m trying to reintroduce rice as an option, but the jury’s out as to whether it will work for me. 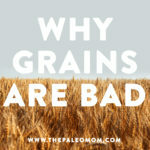 Any thoughts re: the least harmful gluten-free grains to try? Polished white rice is typically the best tolerated grain with the least anti-nutrients. What about other starchy vegetables like taro root or green plantain? (not sure if those are FODMAPs or not). 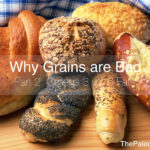 Otherwise, I’m not sure which grains or pseudograins are better or worse, I guess it really depends on what you tolerate. Are sweet potatoes okay? Is basmati rice ok? I’d like to see in vivo or human studies to support the following: “dietary saponins create holes in the surface membrane of the cells which line the gut (enterocytes)” AND, “Dietary saponins from these foods are known to increase the permeability of the gut (i.e., cause a leaky gut), likely by killing enterocytes”. Legumes aren’t allowed? I knew about grains, but legumes too? I eat dhal (yellow split pea soup) about once a week, and now chickpeas too since I’m finding it hard to find free range hormone free chicken thats also grass fed. Do yellow split peas and chickpeas grow candida? Chicken are omnivores, so they are almost always supplemented with some kind of feed. Legumes are very hard to digest (both the proteins and starches in legumes are hard to digest), contain protease inhibitors, saponins, and lectins (mainly agglutinins). Some people tolerate well soaked and thoroughly cooked legumes from time to time, so if you feel that your weekly dhal is working for you, then you don’t need to cut it out. Both taro and cassava would be allowed. The caveat with cassava is to make sure you are preparing it properly (soaking for 24 hours, then cooking at least an hour) because of the glucocyanides. thanks for that. I tried googling glucocyanides but couldn’t find what they are haha. They are fine even if I may have leaky gut? thanks for replying to these!! They are best minimized for everyone. Soaking and extended cooking greatly diminishes them (plus the kind of cassava we can get in stores is the sweet cassava which has less glucocyanides than the bitter one traditionally consumed in Africa). I have been a vegetarian for 30 years and have an auto immune disorder. My inflammation level is high (from blood test). I am on a low carb diet and taking daily Omega 3s from Algae oil, probiotics, enzymes and Betaine. I have been eating a lot of quinoa and almonds as my main source of protein. I am very disturbed to read that quinoa or buckwheat is not good for me and don’t know how I will keep up my protein levels which are low anyway. I have been taking Whey Isolate powder also. It is against my spiritual practice to eat meat, fish or eggs. Do you have any suggestions? I have lost quite a bit of weight (weigh 115 lbs, 5’4″ tall). I am getting weaker because my immune system seems to be attacking my muscles. I eat a lot of fresh, organic green vegetables and avocados daily. Unfortunately, I believe you need animal proteins and the vitamins and minerals that are especially rich in these foods in order to heal. I think you can do it as a pescetarian, but vegetarianism is a real obstacle to getting the nutrients your body needs. 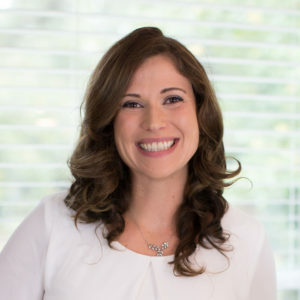 I suggest finding a functional medicine specialist who can work within your belief structure to customize a meal plan, including supplements, for you. What are your thoughts on soaking grains the way traditional peoples do, or sprouting the beans before consuming? Thank you for your time. Traditional preparations definitely reduce many of the more problematic proteins and antinutrients, while also making grains and legumes more digestible and the nutrients in them more bioavailable. And I think that many people can tolerate soaked/sprouted grains and beans (especially if then also fermented and cooked for an extended time) very well. So, if someone does want to go to that work and does tolerate them well, I say go for it! I believe that the key is to find out as an individual what works for your own body but also what makes good diet choices sustainable, and if the only way that you can commit to healthy eating for the rest of your life is to enjoy traditionally prepared sourdough bread from time to time and you don’t experience adverse effects from doing that, then I think that’s great. Thank you for you quick response. Today, my allergies are killing me and I was thinking I need a change. I will give this all a try. Thanks for getting back to me so quickly. I would love to understand why, just for my own information. If I grow a plant from a seed such as millet or chia or any bean for example and then cut the plant to eat like a vegetable leaving the seed behind in the soil (much like I might use my cut and come again lettuce, also grown from a seed) what is it in these plants that is harmful? I appreciate the info. Thanks. This means presumably that cress is also off limits? Just to be clear I am only talking about eating the leaves/stems, not the bean/seed itself. So going back to my original inquiry, are the *plants* of beans, lentils, peas, millet, quinoa, chia, etc etc ok to consume? And what is considered mature? I am on a leaky gut protocol and am wondering if I could try this recipe, minus the egg? Thanks for the tip! Better safe than sorry; I will avoid it. I am babying my tummy for the next few months. I’ve been trying to find out why, for the longest time, tapioca is a sensitivity for so many people [myself included!]. 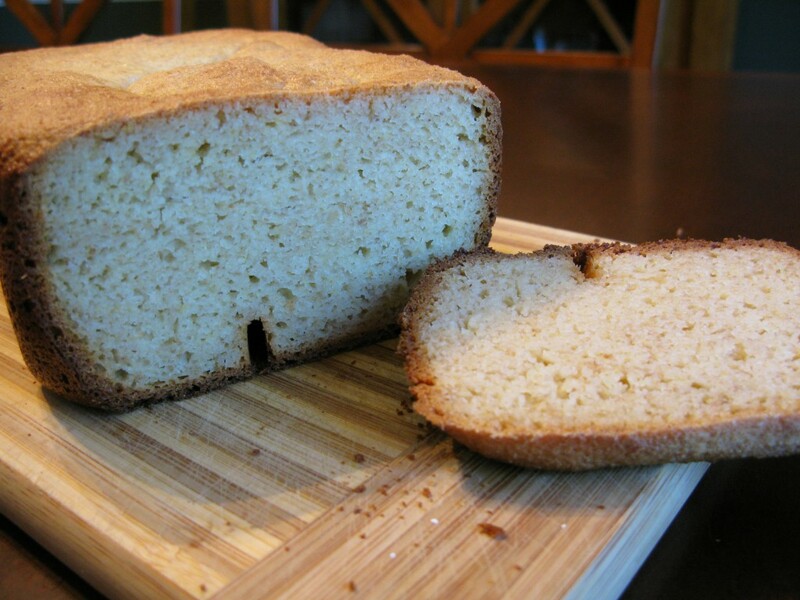 I positively LOVE baking with tapioca starch/flour….and don’t know why it’s such an issue. Why is it, then, such an issue for so many people? What component in it sets people’s guts off?? 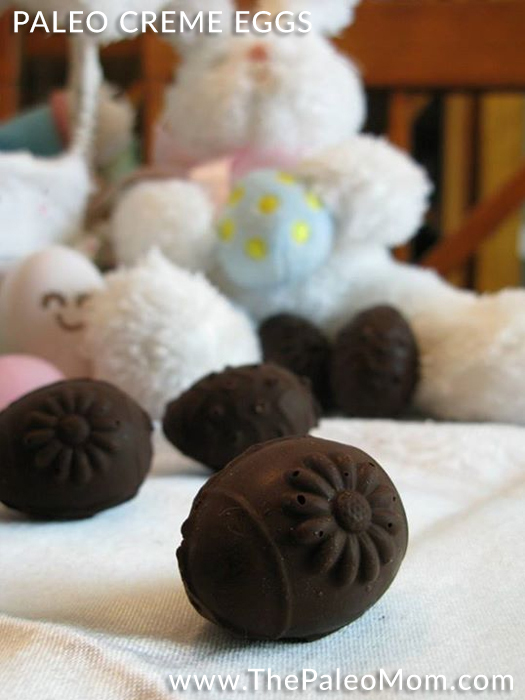 If I knew what it was, then maybe I could avoid whatever reason/component is in tapioca starch/flour in other things. I’m trying to figure out what is wrong with my gut, so any info on the reason behind tapioca/starch being problematic is appreciated. On December 23, 2013 at 11:39 am you replied to Eliza about soaking and sprouting. Specifically, have you come across any research pertaining to lower levels of anti-nutrients in soaked and fermented, or sprouted, grains and pseudo-grains? I’m diagnosed coeliac (blood test + biopsy) with low symptoms (ocassionally experience costipation and bloating but don’t always seem correlated with potential “glutening”, in that I can have a home-prepared meal that I know for certain is Paleo and gluten free but still may bloat up). Since I’ve been Paleo I bloat about 85% less than on a standard western diet. How do I tell if I tolerate certain grains such as sprouted quinoa or white rice if I have low symptoms? I have had 1-2 servings of normal quinoa (in a takeaway salad when I forgot my lunch one day) and gluten-free popcorn in the last two months with no immediate effects/symptoms. Does this mean I tolerated it? 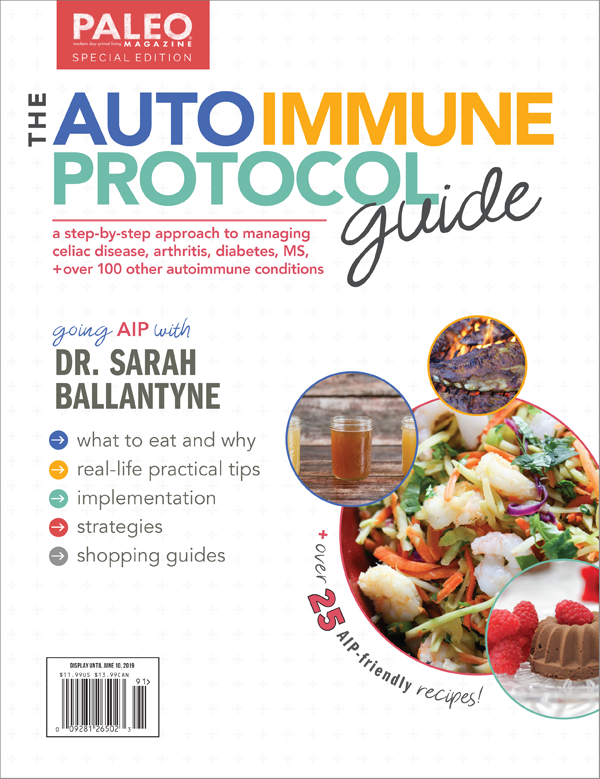 I did AIP for 30 days and took reintroductions over 2 months, I reintroduced all traditional Paleo foods such as whole-eggs, tomatoes, and black coffee with apparent success. My biopsy showed atrophied villi so I know I have a predisposition for gut permeability based on your writings. I don’t want to make it worse and avoid grey-area Paleo foods most of the time. I’m very confused and wish there was a way I could just look inside my gut once a week or so and see how happy it is in there because I don’t think it does a good job of alerting me if it’s unhappy!!!! Your Post on eggs lead me to this and caused me some concern as I have recently started my son on Serrapeptase. He has Autoimmune Reiter’s syndrome and it has helped his arthritis and eliminated the longstanding fungal infection on his feet. This protease comes from silkworms and has been well researched and is even listed as a supplement for autoimmune disease. Do you know anything about it and would you advise stopping it, even though it seems to be improving his multiple problems? What about grass fed dairy? Does that have the same effect? I came across some research suggestioning to the follow the Paleo Diet, but cautioning that Selenium (Hydrogen Peroxide) has been found to be deficient in people w/ Hashimoto’s & other AI’s b/c they’ve completely cut gluten out of their diet. It said to add Selenium supplements /foods to balance Iodine levels to help w/ your thyroid levels, leaky gut, etc. Have you come across anything to believe Selenium is linked to your thyroid, “leaky gut, weak immune systems, etc? Hi! I’ve been AIP for a bit over a year, and I was perusing the “yes no maybe so” PDF list. I noticed what appear to be errors. Teff, tempeh, and TVP are all marked in the yes column. I thought you might like to know, so you can update the chart. Thank you! Carob is a legume so wondering if carob powder is ok to eat on aip since, I believe, it is made from the pod of the tree?